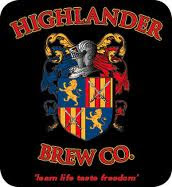 This week I discovered a beer at the LCBO from an Ontario brewer which I had not heard of, Highlander Brewing Company. This is likely due to the fact that the brewery is located way up on the western side of Algonquin Provincial Park in South River , and was only distributing their beer between Barrie and Sudbury. According to the website, which is still under construction, the company was opened in 2008 by Brewmaster Brian Wilson in South River. I then found an article on The Great Canadian Beer Blog from October 2011 saying that the brewery was up for sale. The article quotes Mr Wilson as saying, "Yes I am selling. Too much for a one man band so to speak. I am the brewer, filter chief, bottle washer, packaging wizard and delivery-man. I am selling this as a turn key business. We've done all the hard work. On average 100 cases weekly to the LCBO's alone...,"
I have always felt that being a brewer was a tough business, let alone trying to do it as a one man operation. The new website says to contact Dwayne Wanner so maybe he is the new owner. If so, I wish him well. The site also says that they have opened a distribution centre in Milton to serve the bar trade in southwestern Ontario. 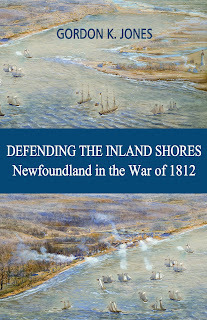 It's good news that the company now has access to LCBO shelves. I was trying to find out the difference between Scotch Ales and Scotttish Ales. The best definition which I could find is that North American brewers tend to apply the term "Scottish ale" to pale ales with low hop levels and a malty sweetness. The beer pours brownish red in colour with a brownish head which disappears quickly. There is a sweetness to the aroma, which I expected. There are some lacings on the inside of the glass but not much.The same thing happened when I poured my second bottle. The complexity of the taste surprised me. It is a sweeter beer for sure. The taste comes in layers in my mouth. It starts sweet, with the roasted malt taking on more of a caramel flavour rather than that of coffee or chocolate. Some hops come through to add a slight bitterness to the long finish. This is a very good beer! Their website, still under construction, does not list the types of beers they brew, but after trying their Scottish Ale, I would not hesitate to buy this one again, or any other beers which they may brew.